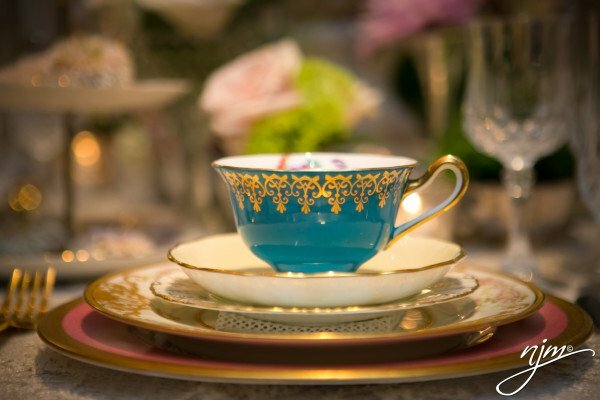 At Vintage English Teacup, we specialize in vintage mismatched English fine china rentals. We are able to help you create a European Country House look with our china rental items. Our imported fine china is unique in the rental market in the Southeast, providing both quality (all items are English fine china) and quantity, 1000 each dinner, salad, bread plates, and 850 cups. Call us today at 770.317.6216 to make an appointment to view our beautiful one-of-a-kind pieces! Vintage English Teacup began when Prince William married the lovely Kate Middleton. I had an open house for all who wanted to experience the event in true Brit style. I was inundated! We had tea and cake and everyone commented how much fun it was and how they did not ever get to play with Fine China. So I thought: why not provide everyone with the opportunity to have fine china for their event? I had inherited tea sets from my Mother, Grandmother and Great Aunt, so I had a great start. I began collecting at country house auctions back home and have not stopped since! I am now proud to share 1000 Place settings from many Premium manafacturers in the UK. My favorites include Royal Cauldon, Royal Worcester,Wedgewood and Hammersley. Each piece is special and individual and most of my happy clients enjoy the conversation that is created by each design. With many designers now choosing to Mix and Match from modern and vintage designs we are happy to be on the cutting edge !It is a true joy to share my lovely pieces with all who want to enjoy the pleasures of a bygone era.